Description: Our Annual LSD (Long Slow Distance) Good Friday Century. It is going to be a long day on the bike, the goal is saddle time and base building, folks should bring food with them. We want to avoid as best as possible having to stop in stores unless absolutely necessary, bathroom stops of course. We encourage all to eat on the bike and rest on the bike? We plan to have several short stops, like every 1.5 hours of cycling then stop for 10 to 15 minutes. We want to keep the pack moving. 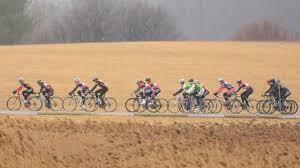 Feel free join us for part of the ride or the entire ride, the ride will be near a train route.